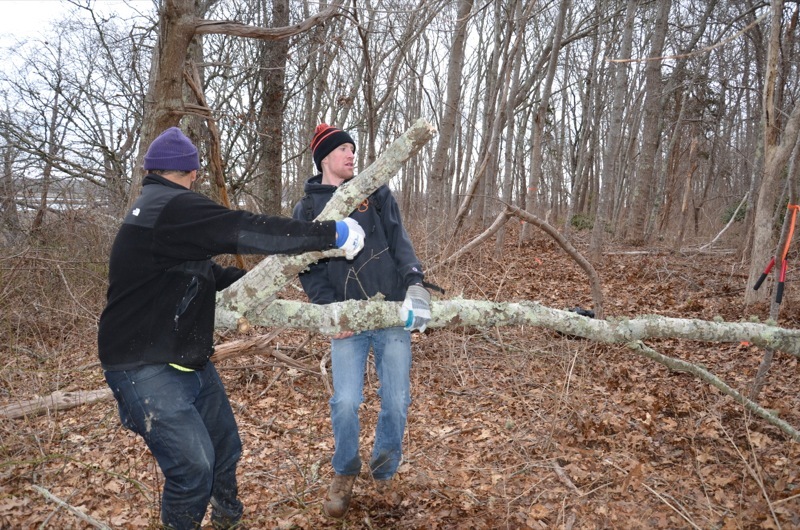 Volunteering at the Lloyd Center – and the rewards that come with it! 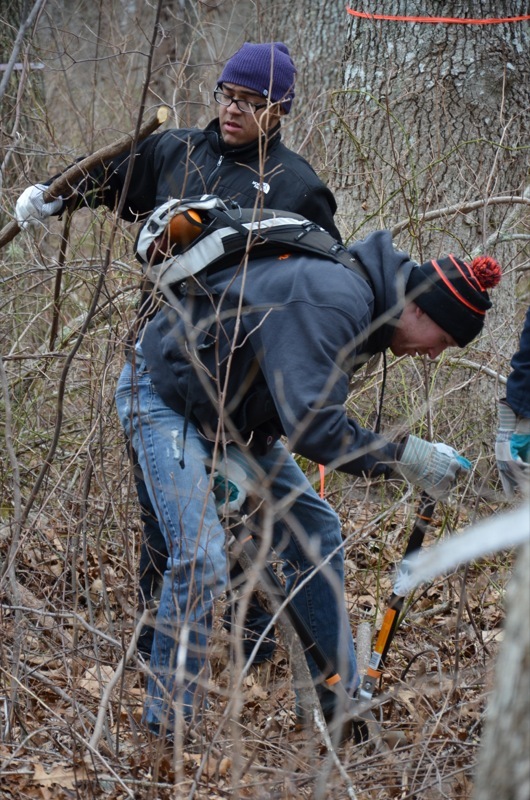 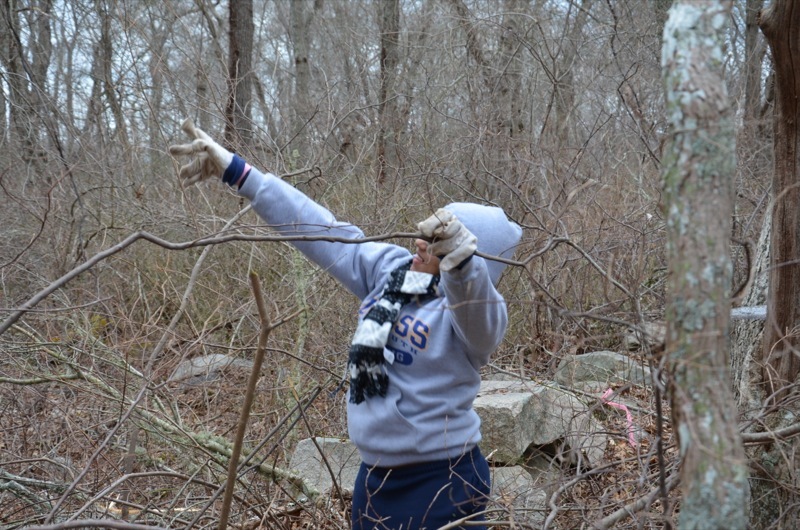 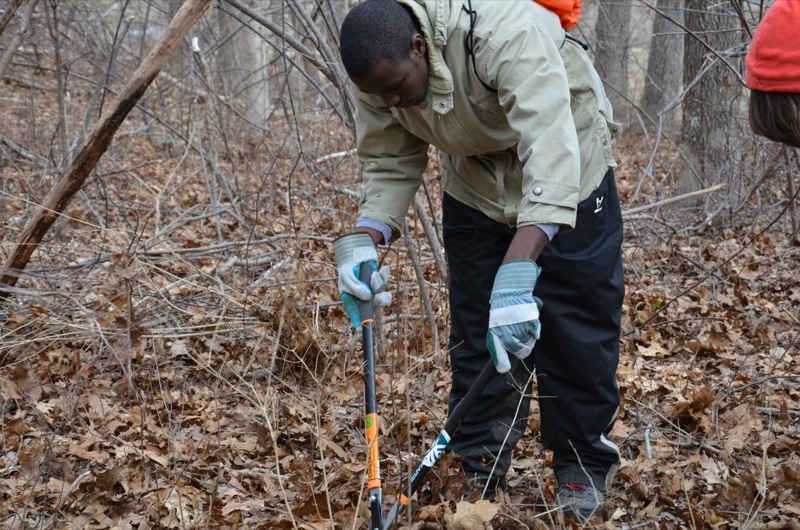 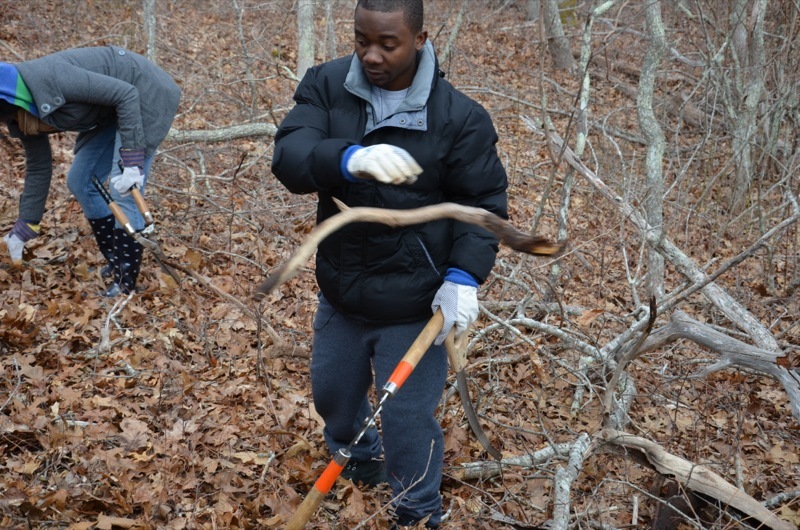 On Thursday, March 21, fourteen University of Massachusetts, Dartmouth students opted for an ‘alternative spring break’ and volunteered their time to help clear a new trail system through the Lloyd Center for the Environment’s recently acquired Lloyd Woods, a beautiful 27-acre parcel of land that lies directly across the road from the Center’s headquarters and spectacular nature preserve overlooking the scenic Slocum River estuary in South Dartmouth. 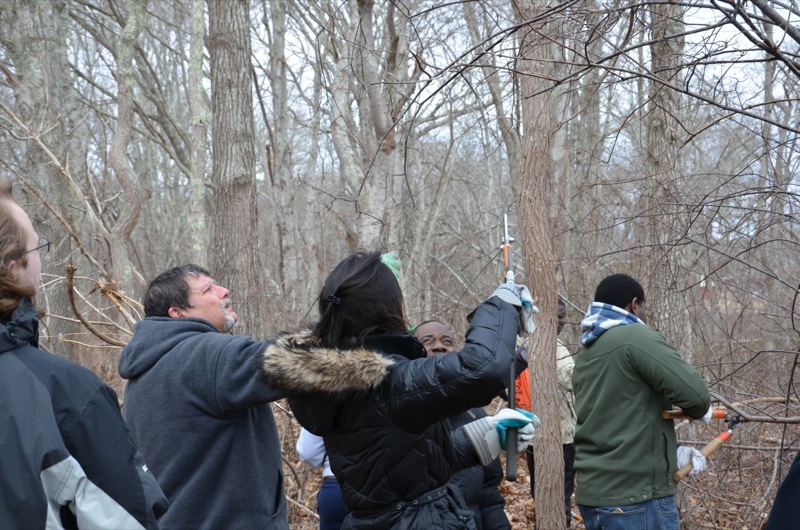 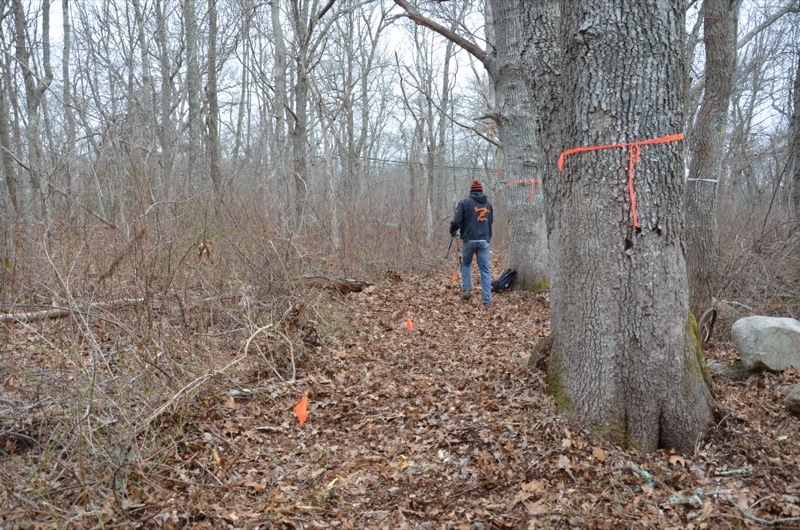 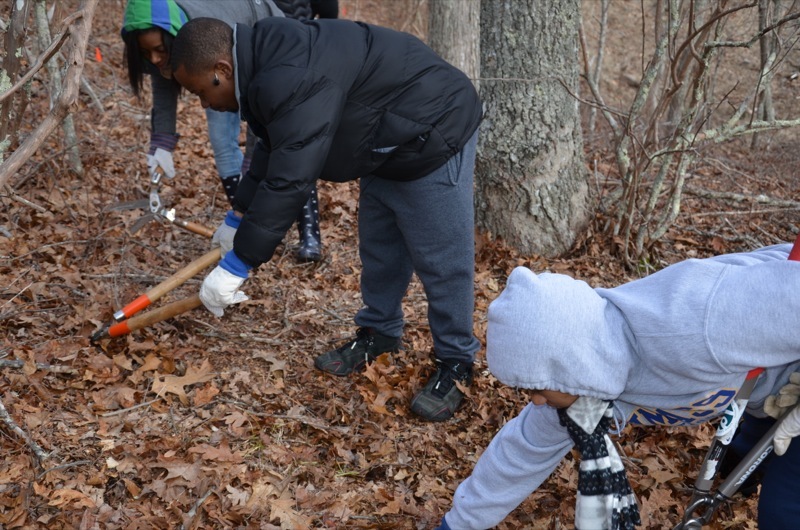 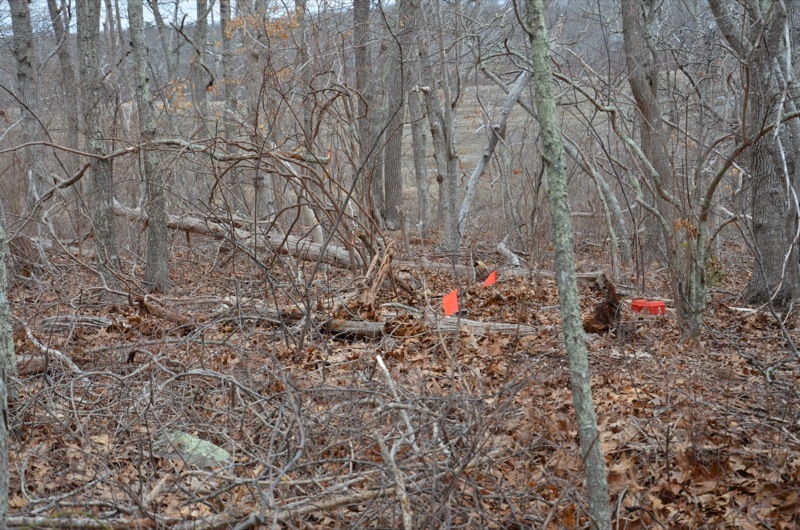 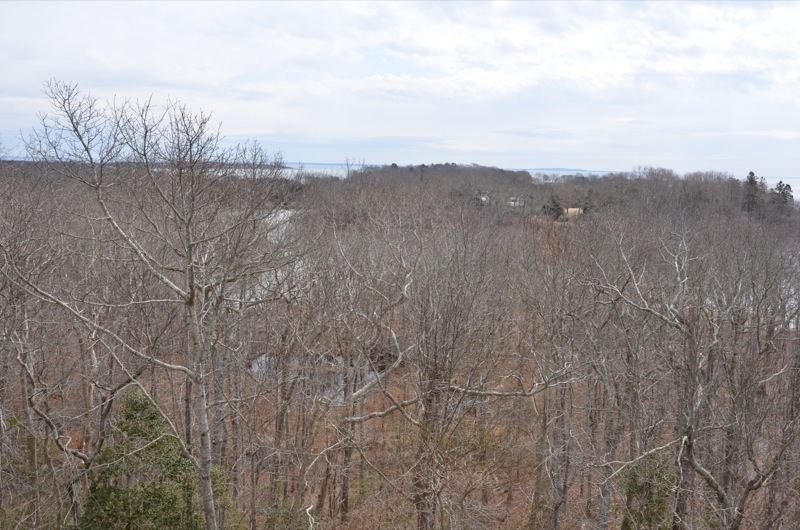 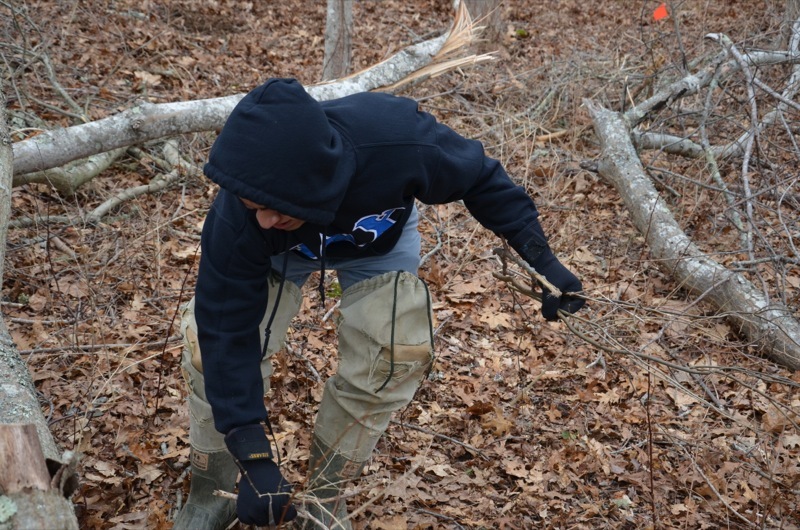 The trail that the students worked on had been laid out in such a way as to avoid trees larger than saplings, thus follow a naturalistic meander through a woodland that is quite distinct from the Lloyd Center’s established trails on the west side of Potomska Road. 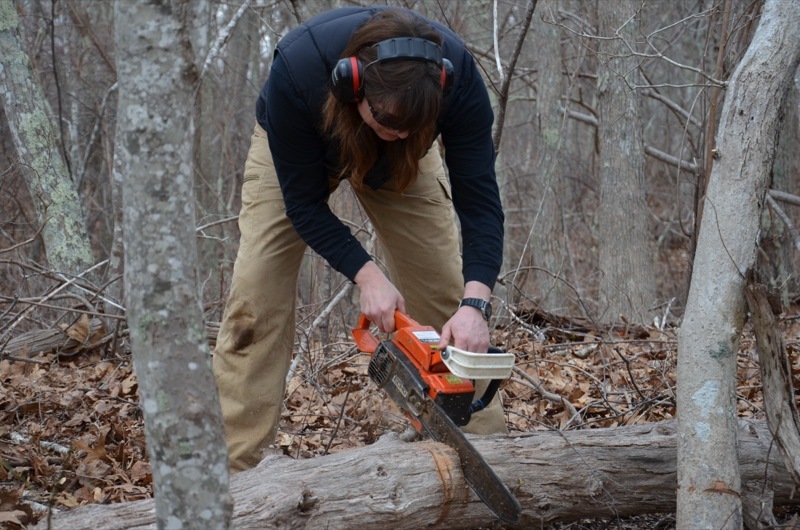 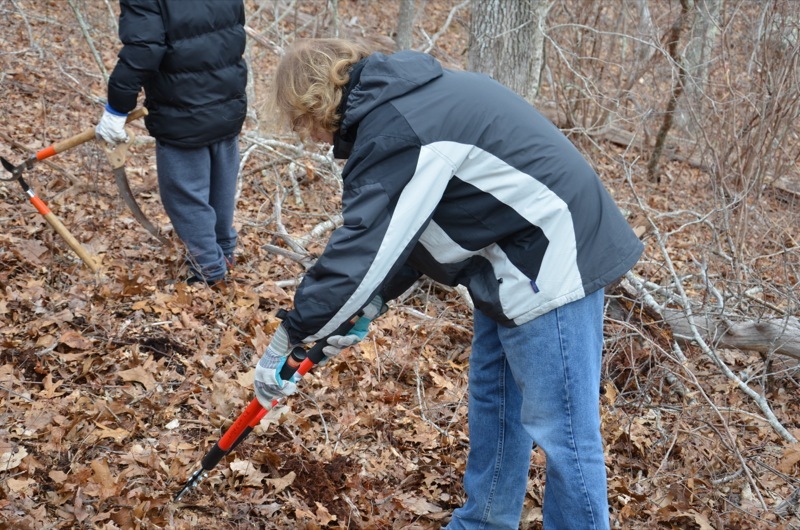 Armed with loppers, the group enthusiastically trimmed back and removed brush as they made their way through the woods to Little River. 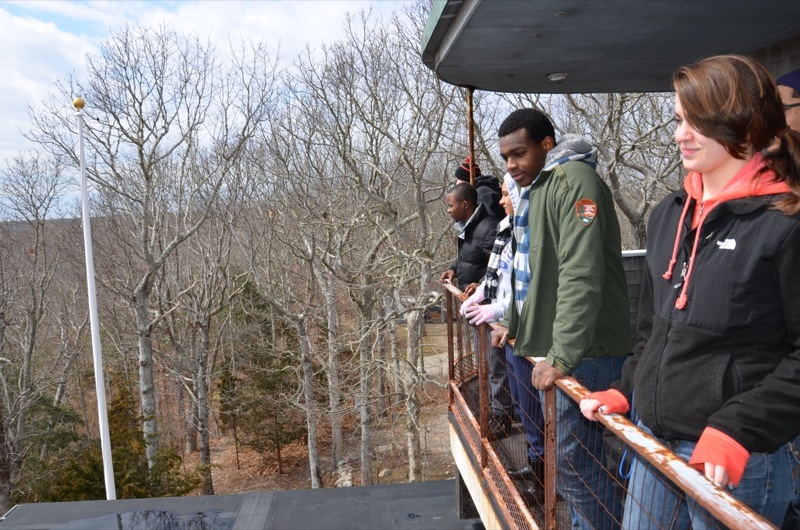 When the day came to an end, the students overwhelmingly commented on the experiences. 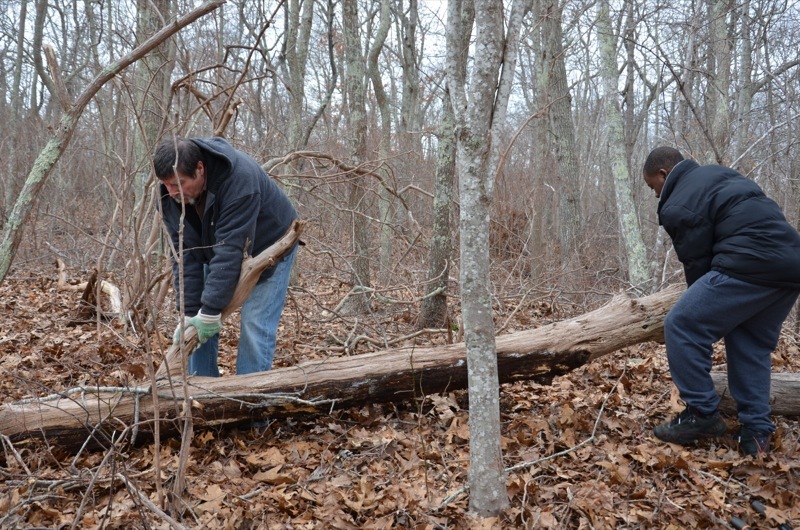 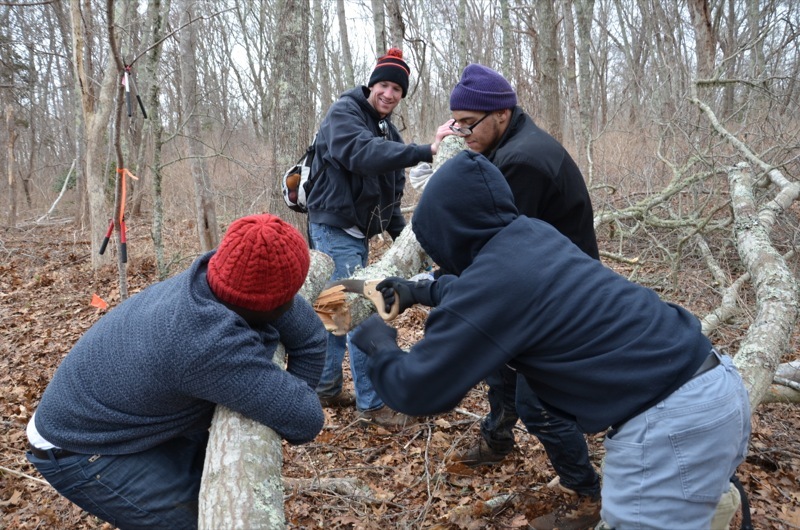 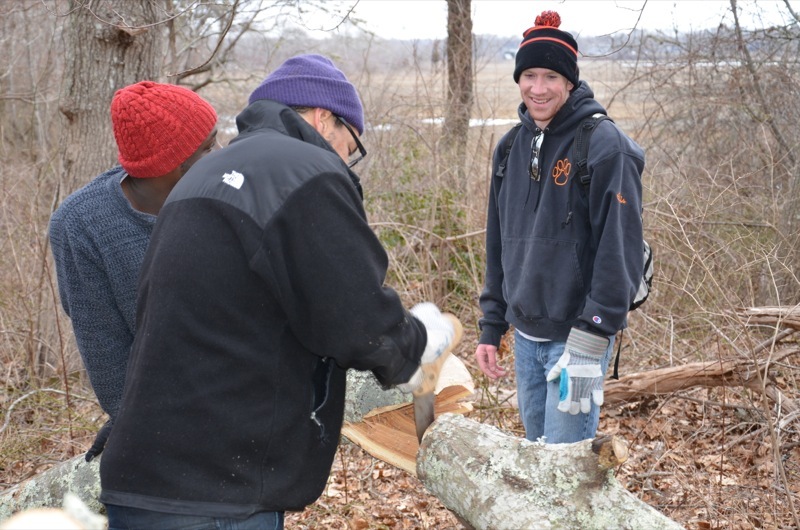 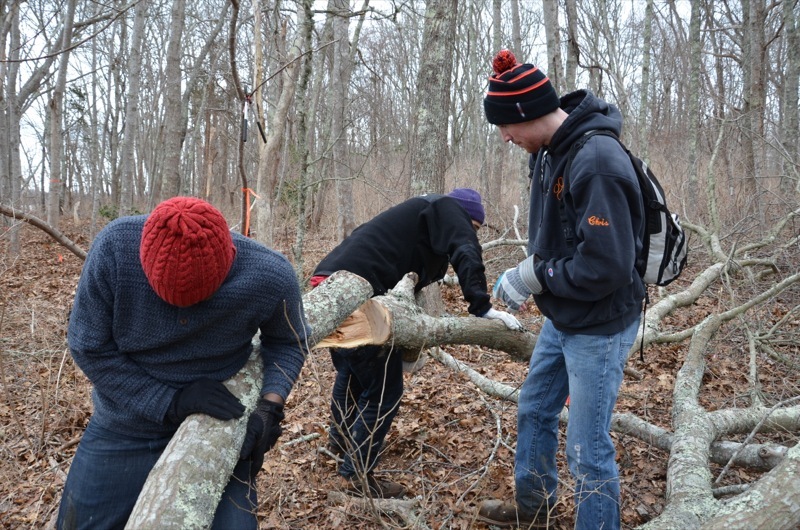 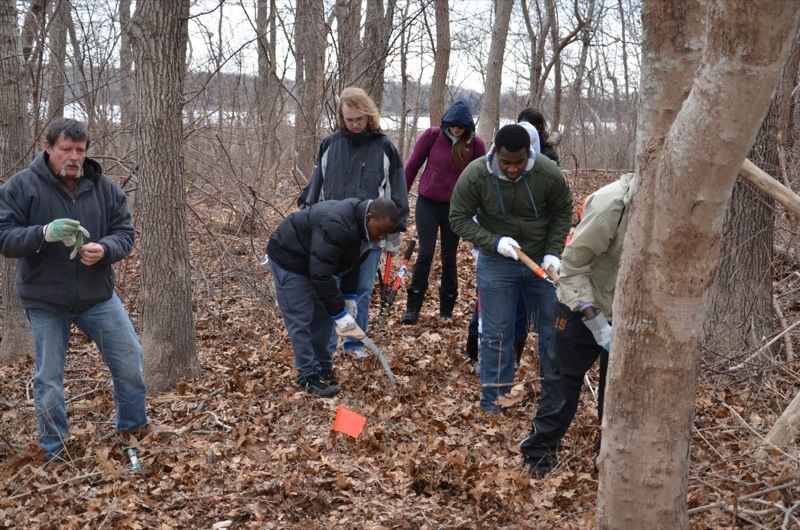 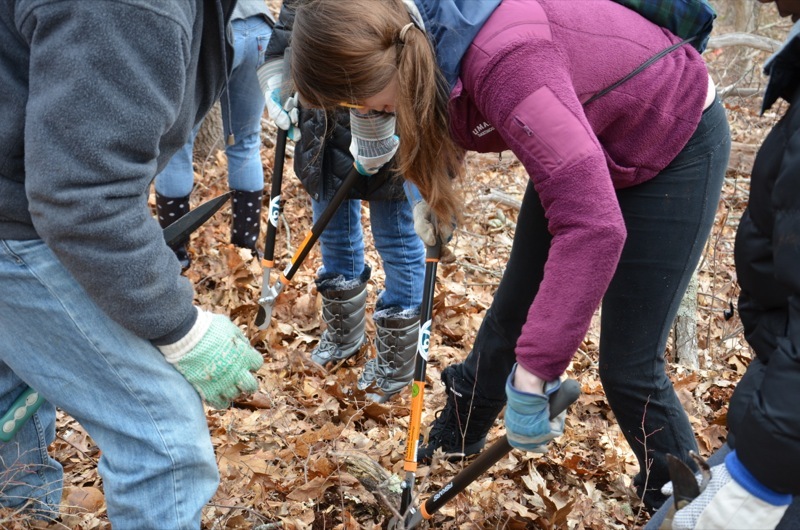 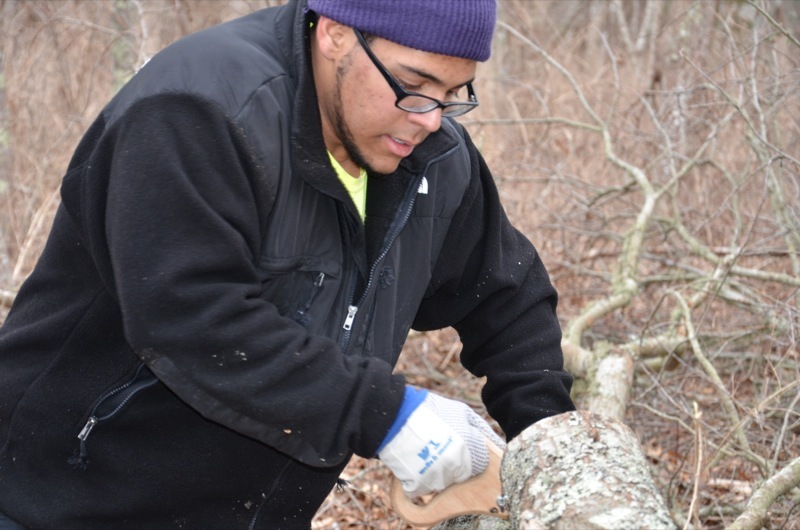 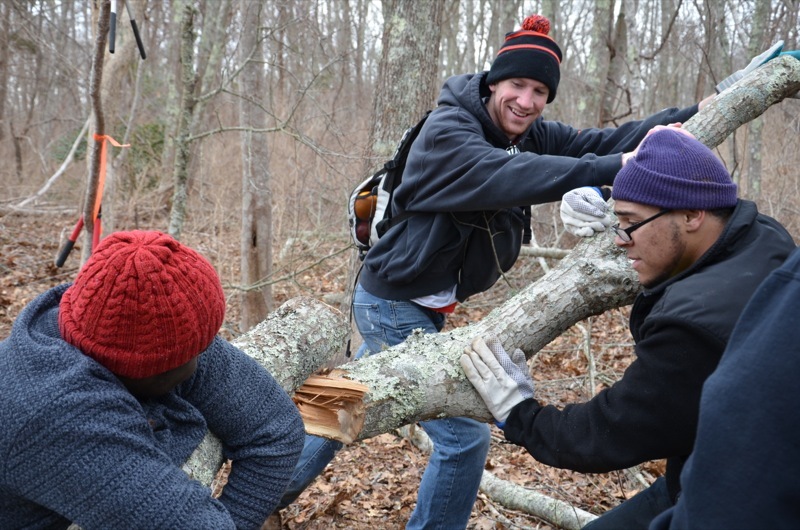 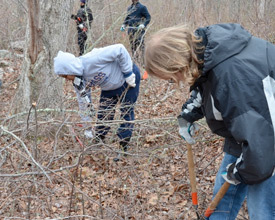 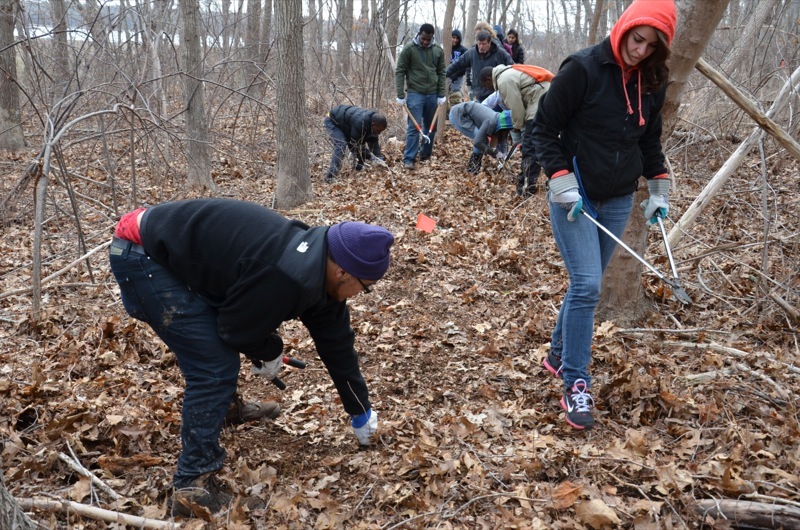 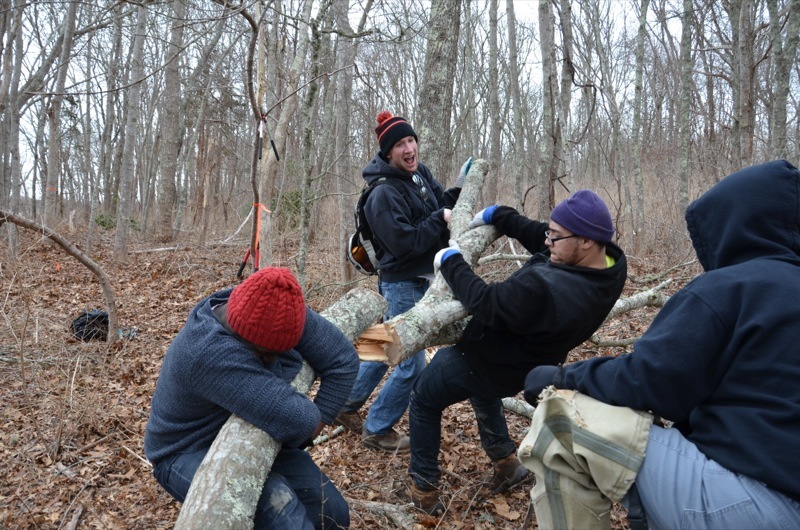 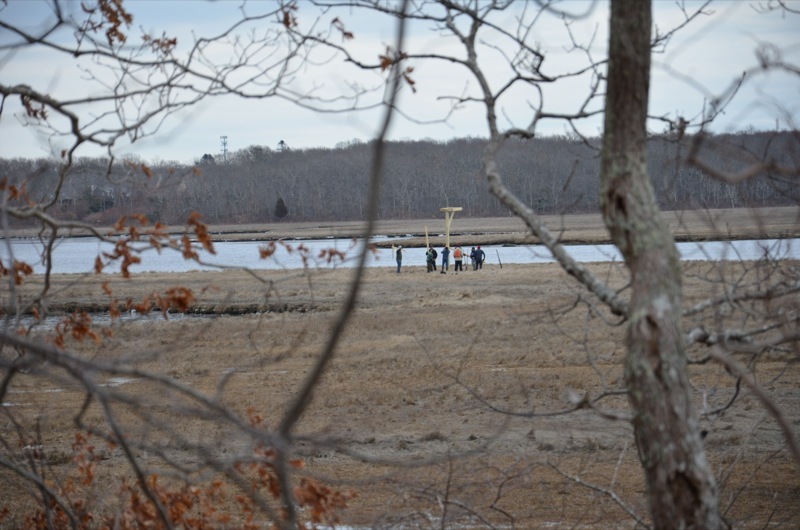 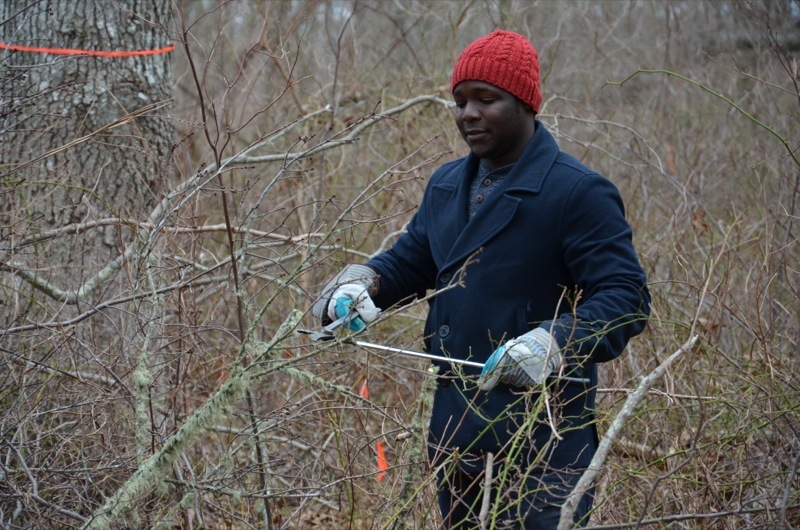 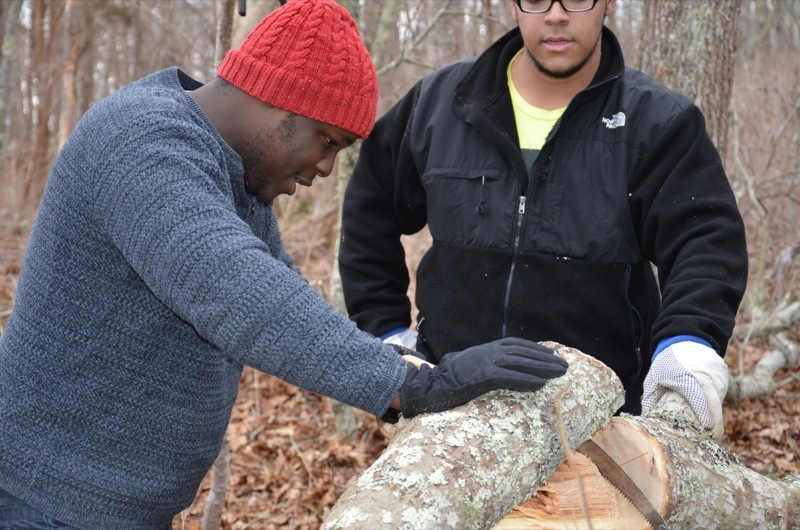 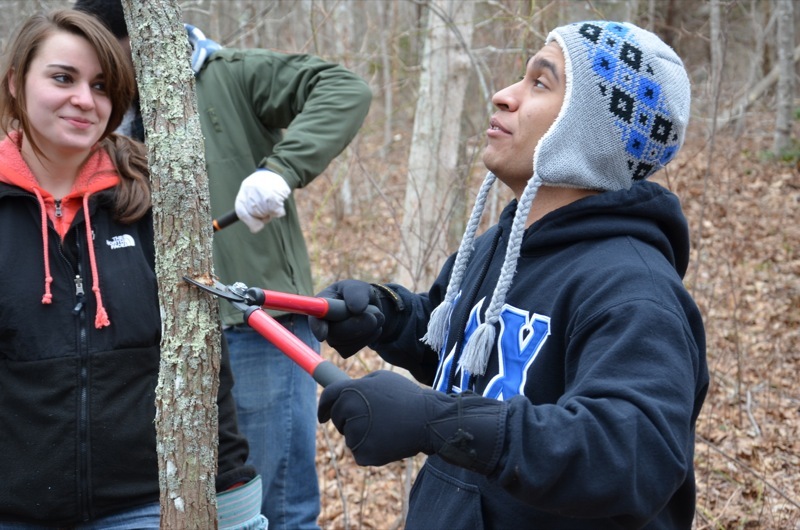 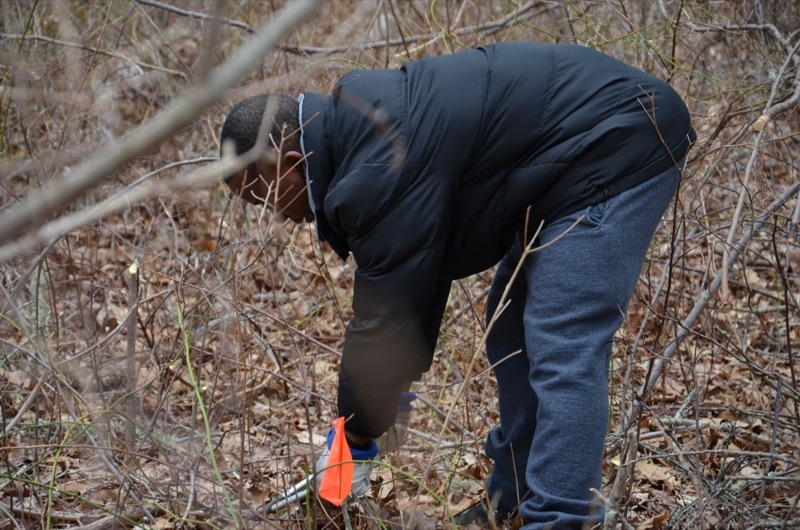 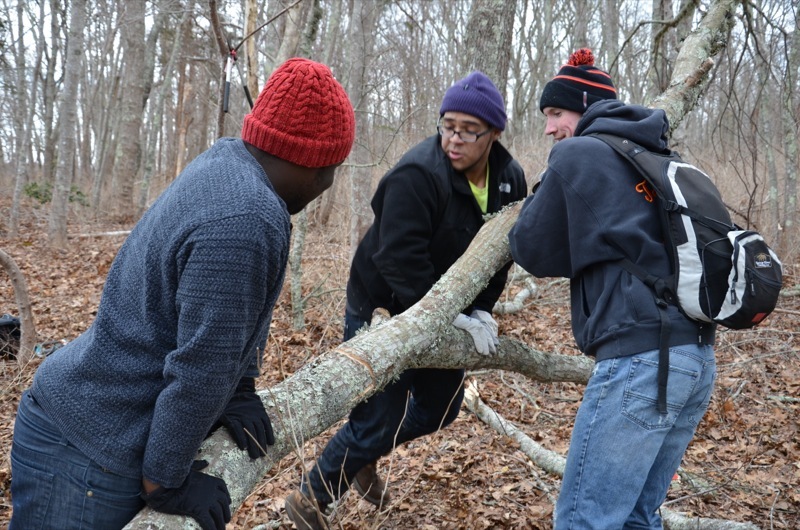 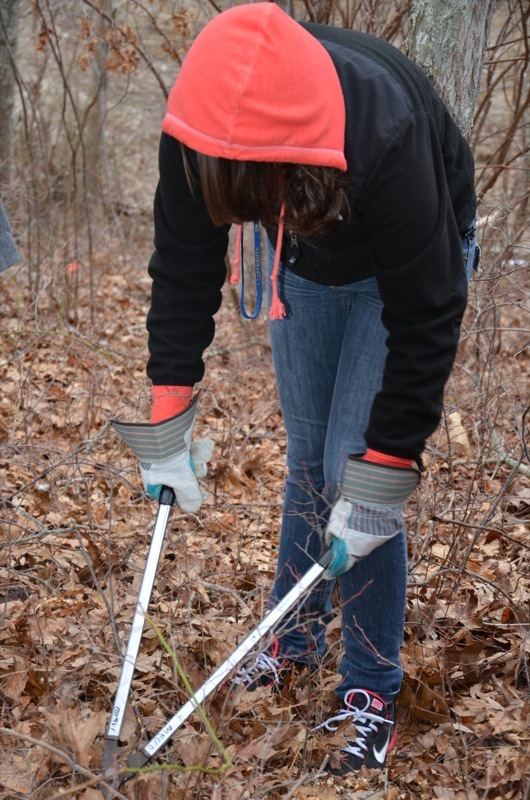 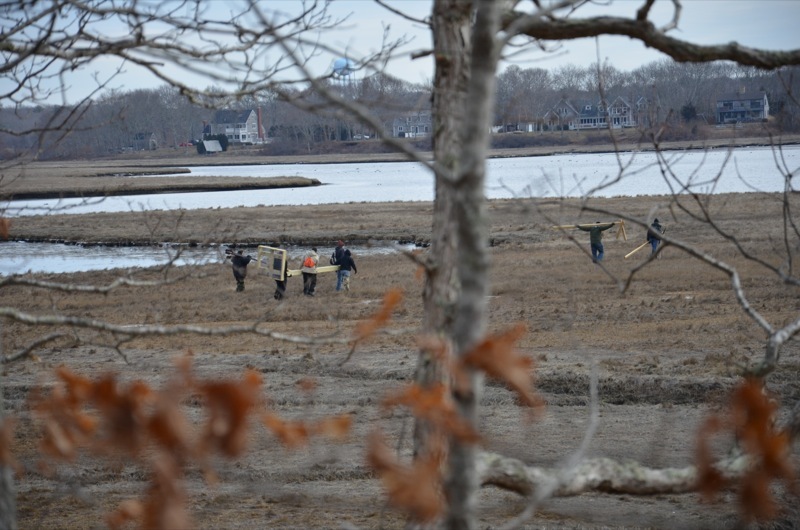 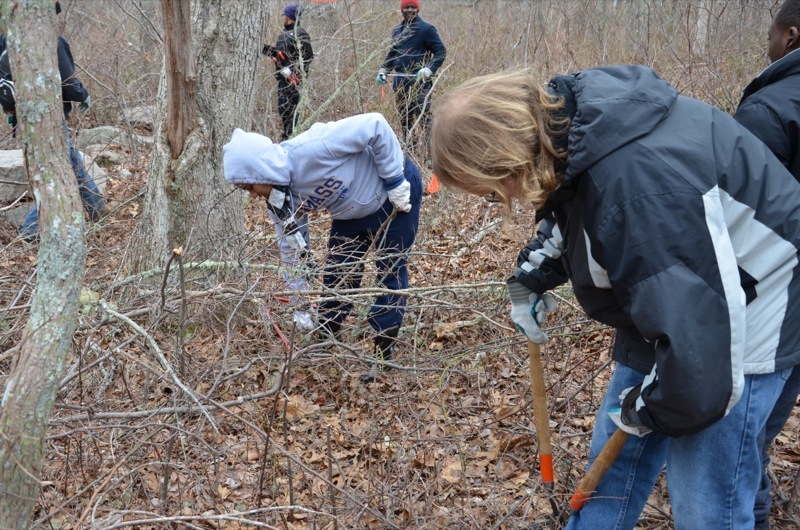 Volunteering can be a very engaging and rewarding experience, as one can imagine from the comments made by the UMass students who so freely gave their time to work on the Lloyd Center’s new nature trail. 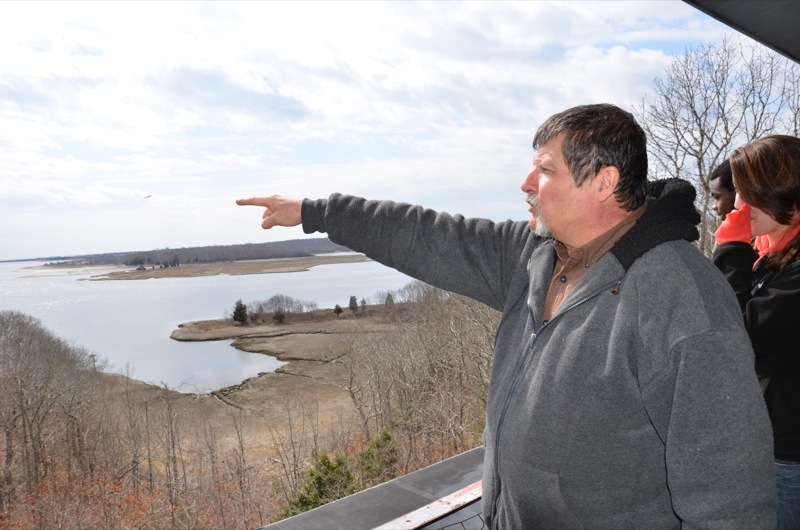 The Lloyd Center would like to have a “grand opening” of this trail in April which when completed will offer spectacular panoramic views of Little River. 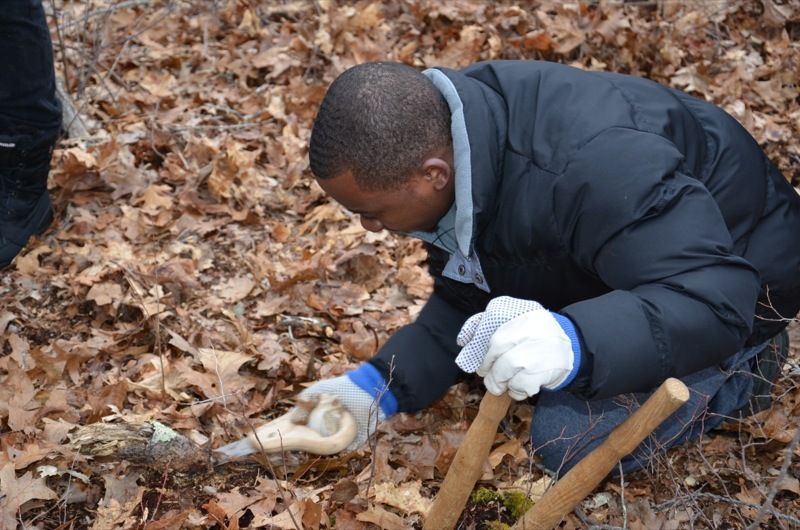 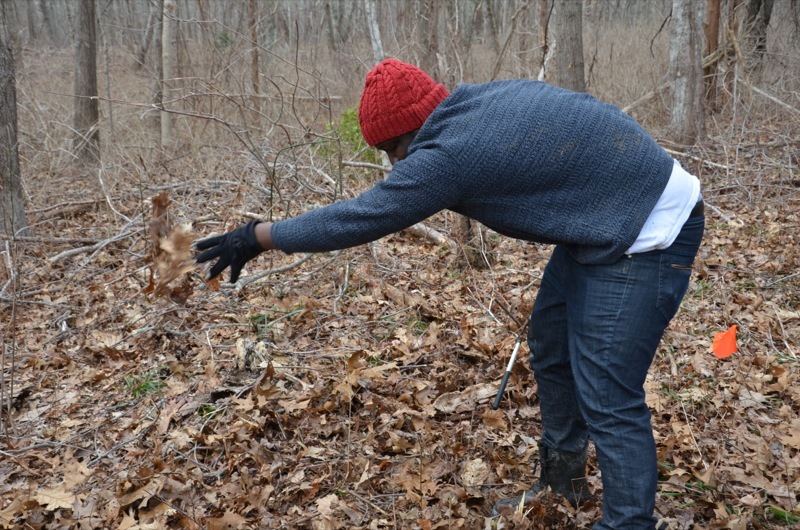 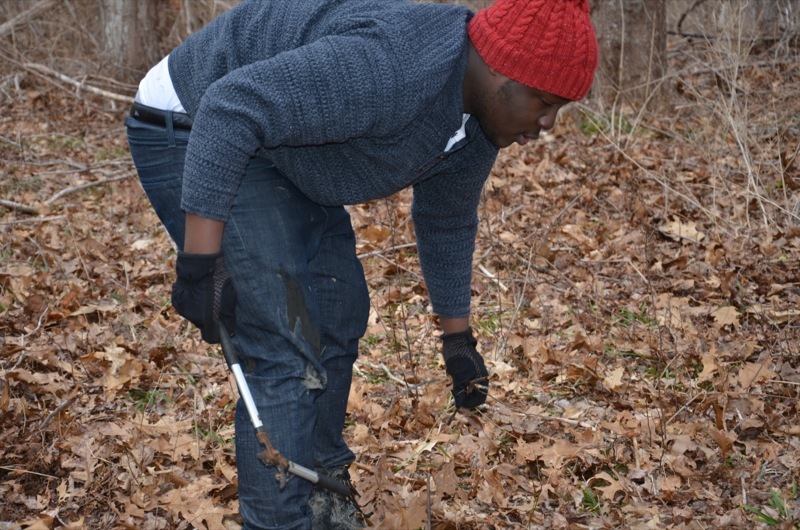 If trail clearing isn’t your cup of tea, the Lloyd Center for the Environment has many other volunteer opportunities available and in honor of National Volunteer Month, the Center is seeking volunteers for Saturday, April 13th (rain date Sunday, April 14th) as they cut, clear, turn soil and completely change the area behind their Visitor Center to a butterfly haven. 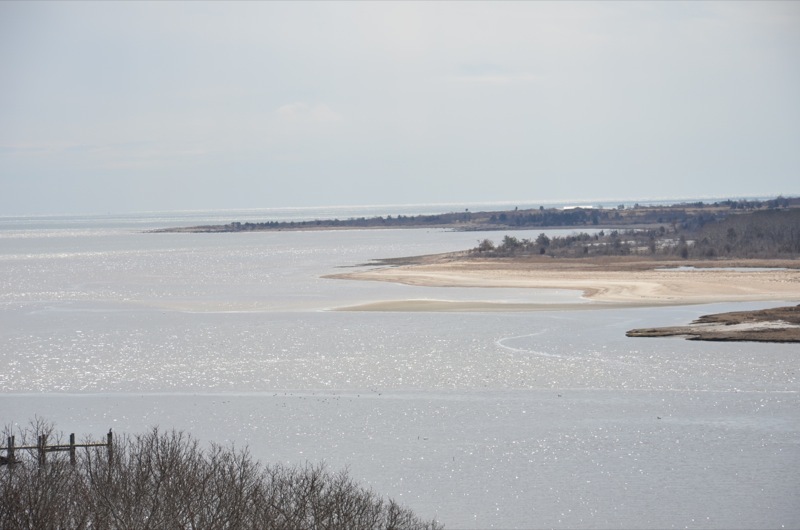 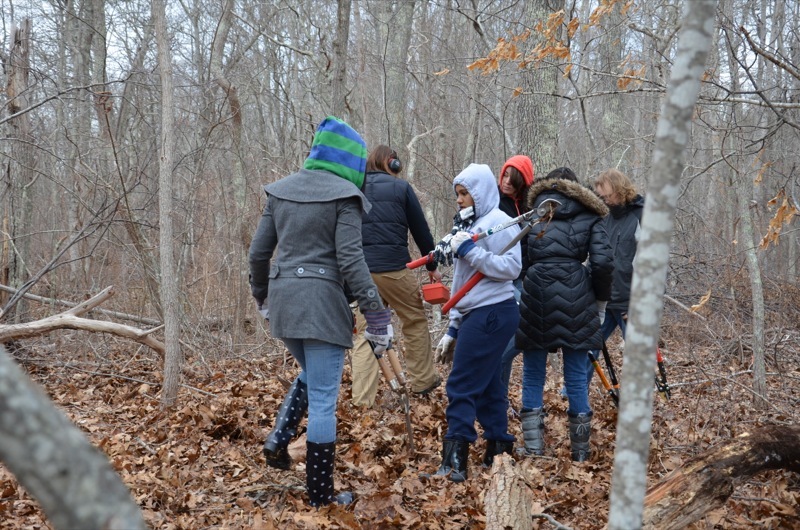 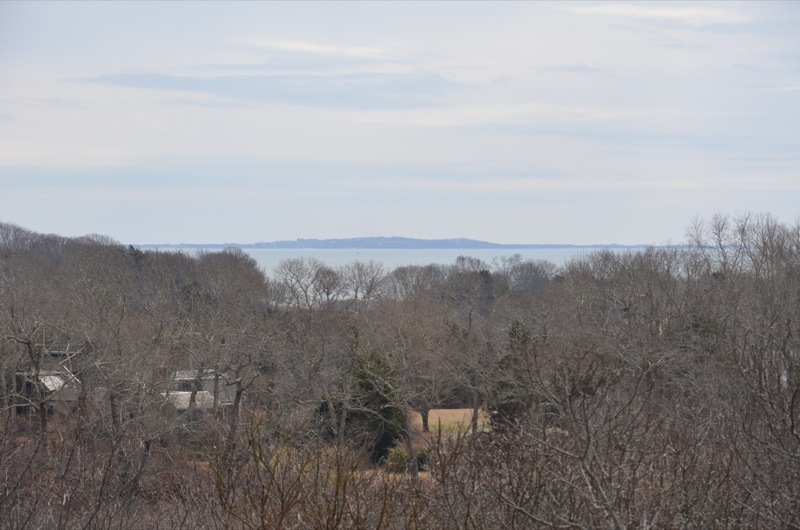 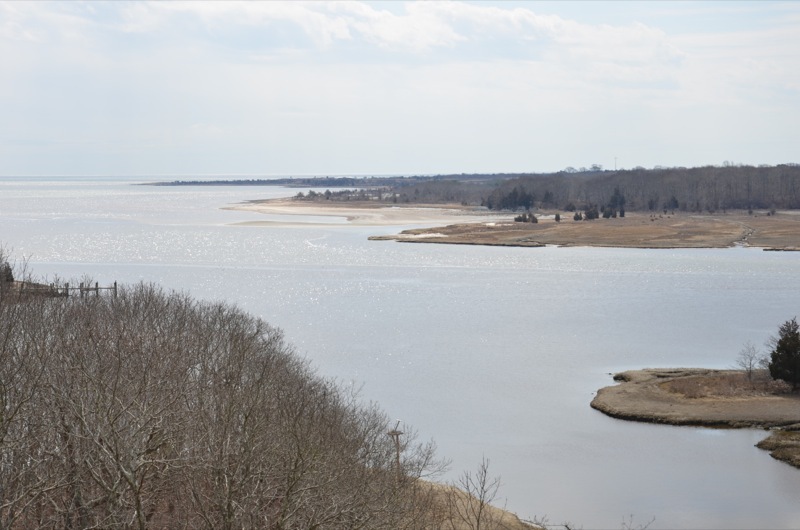 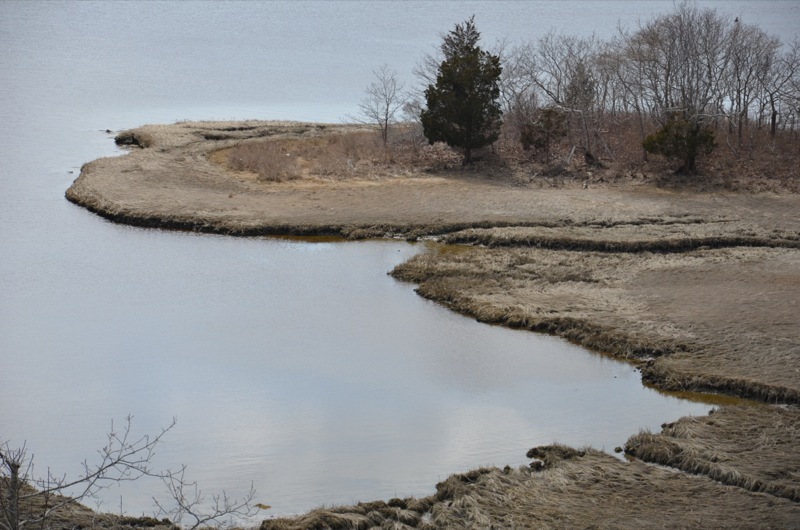 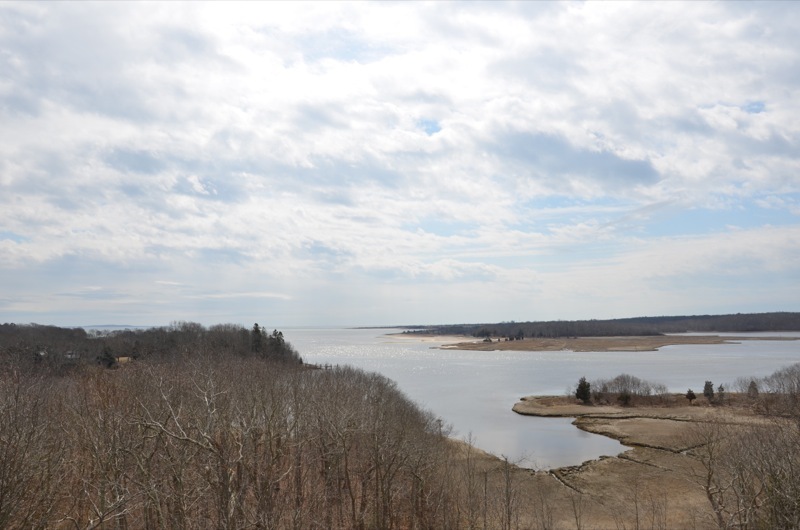 Additional clearing and planting has also been scheduled for Saturday, April 27th (rain date Sunday, April 28th), thanks to a $300 grant the Center received from the New Bedford Garden Club. 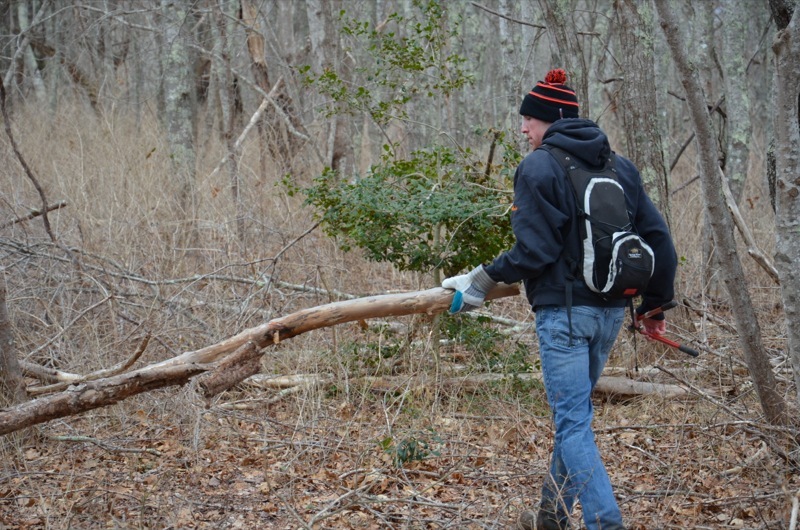 Other volunteer opportunities available at the Lloyd Center include: butterfly garden upkeep; research opportunities in collections, Piping Plover protection, dragonfly/butterfly monitoring and SEANET; assisting in canoe and kayak trips, Monarch Watch or Coastal Field Studies; grant writing; historical archiving; data entry; and in community outreach at the Center’s clambake and Slocum Challenge Regatta. 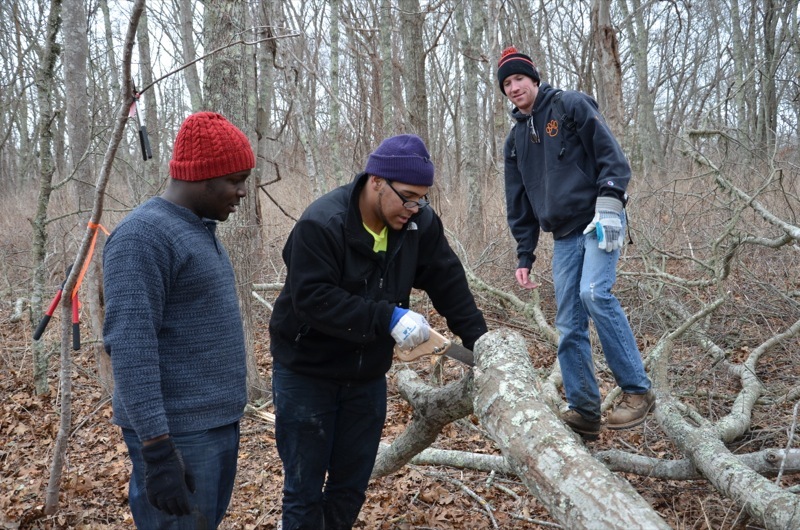 Much of the success at the Lloyd Center for the Environment can be attributed to the volunteers who so cheerfully and generously give their time and energy. 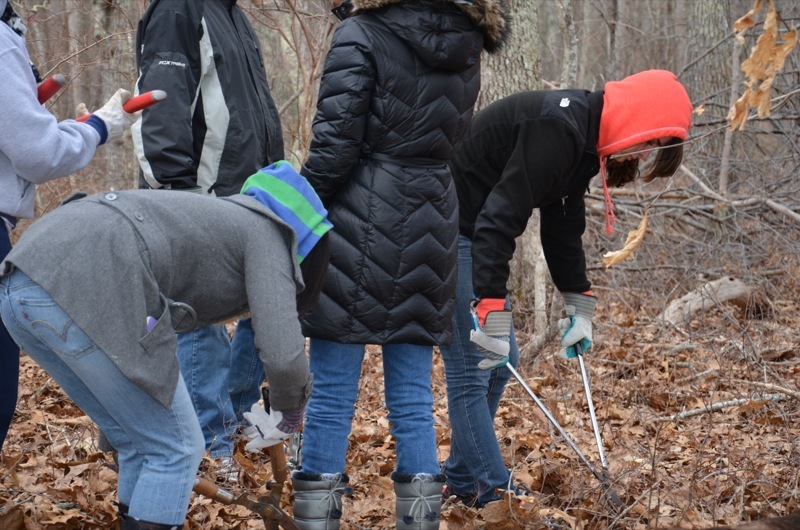 For more information on how you can become a part of this inspiring group, contact Lloyd Center Outreach Specialist Jen Wimmer at 508-990-0505 x 14 or jen@lloydcenter.org.